I have another two- pager to share from The ScrapRoom! I used the July kit for this one filled with Bazzill Worth Remembering. These are the girls just last Easter. I can't believe how much older they look now! Hello, hello! Today is day two of the Nikki Sivils and The Twinery cross promo blog hop! It's an easy hop too. Just two blogs to "hop" to. Stop by Nikki's Blog and The Twinery blog, leave a message on BOTH blogs and then you will be entered to win a prize pace from both companies. Easy peasy right? 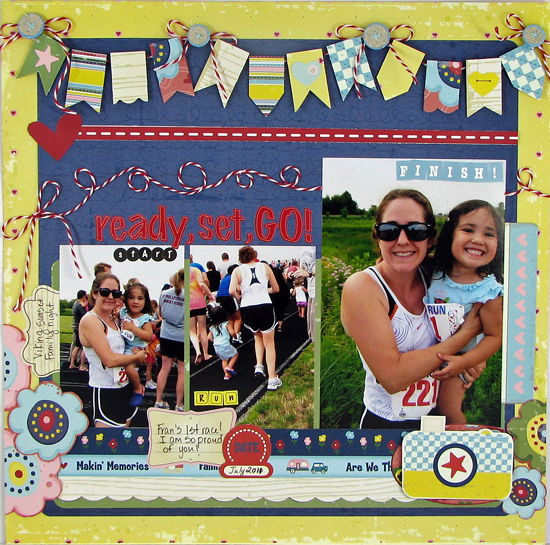 I created this layout using The Twinery Maraschino Cherry twine. MY favorite color! 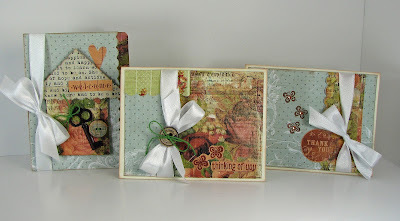 The techniques I used are posted over on Nikki's blog. The other DT Divas have projects to share too. And this is the second day of the hop so if you missed yesterday make sure to go back and leave a comment for those days too. How about a two page layout? I have a two page layout share today. This isn't a new layout, but I haven't shared it on the blog before so it may be new to you! 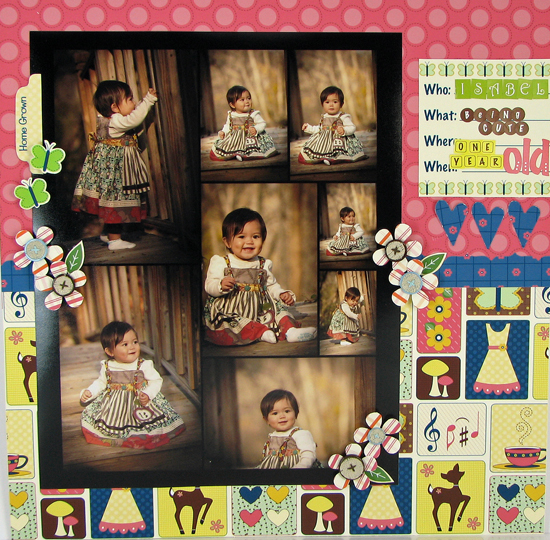 I created this layout with a kit from the September kit from The ScrapRoom. There were lots of Echo Park goodies in this kit! Thanks for coming by today! Make sure to stop by the Nikki Sivils blog for day one of their cross promo with The Twinery and a chance to win a prize. I will have a project to share for the cross promo tomorrow! Today on the Bo Bunny blog it's "off the page" day. 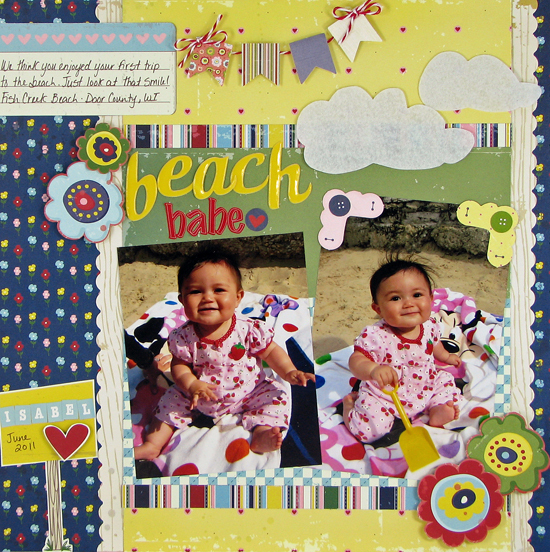 Anything not on a scrapbook page is allowed. 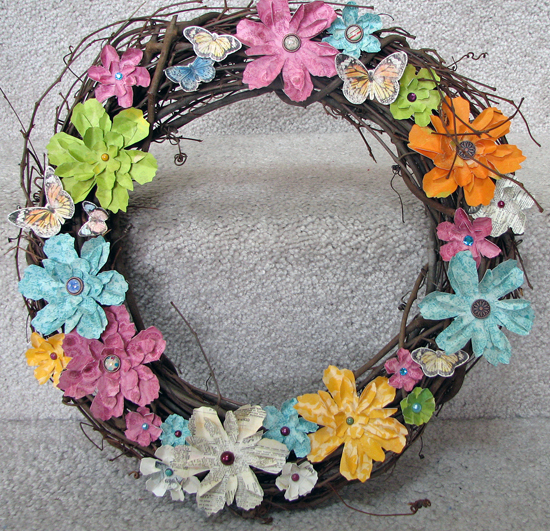 I created this Spring wreath my cuttlebug, sizzix tattered florals die and of course so Bo Bunny goodies! The 6x6 paper pads fit perfectly through my cuttlebug. 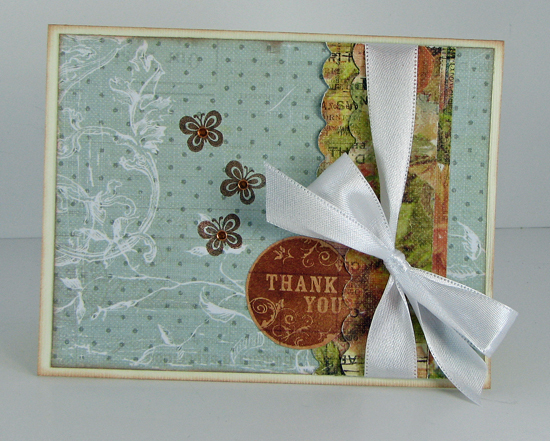 I pulled out some sheets from the Ambrosia and Country Garden pads and then just cut away. I layered some and added some brads or jewels to the center. I then used some Beacon 3 in 1 adhesive that was so generously donated to me by Beacon to adhere all the flowers to the page. Thanks Beacon! I am beyond happy with how this turned out. I love the colors in the Ambrosia collection and it just looks so cute! Now I just need one of those things to hang over my door to hang the wreath on! Hi all! I am up on the Nikki Sivils blog today! 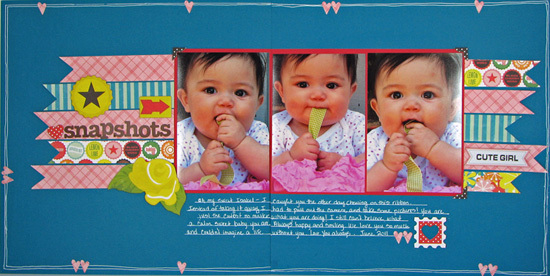 I have three layouts to share that I created with three of her new collections- Messages, Exit Here and Audrey. I also used some products on my layouts that were so generously donated by the following companies- Helmar, Basically Bare and The Twinery! Thank you, thank you, thank you for being so generous with all your product. It was amazing to use! First up I'll show the Messages layout because it is my favorite :) This my husband and I. Not too many pictures of us get taken! One of us is always behind the camera and the other trying to get the kiddos to take pictures. I used my Helmar zap dots (the black foam ones) to pop up the banner and clouds on my layout. The clouds I stamped on the Messages graph paper and then cut out. Here is my sweet baby Isabel. Isn't she a doll? I know I am biased! Exit Here is Nikki's vacation line and it was perfect for these sunny beach photos. I ussed some Twinery Maraschino twine for my banner and the clouds are from Basically Bare. Love them both! I am have now become addicted to Twinery Twine. It is thicker and doesn't fray like the other twines I have. This collection Audrey. It's perfect for me because all I do is scrap little girls- hehe! I couldn't decide on which photos to use so I used them all with a little help from the Wal-mart photo lab. It is only $1.99 to print this collage. You pick the prints and arrage them. This is an 8x10. They also do 5x7 that are a little cheaper. Thanks for visiting! If you get a chance please visit Nikki's blog and say hello! Hi there. It's Home Decor day on the Bo Bunny blog. 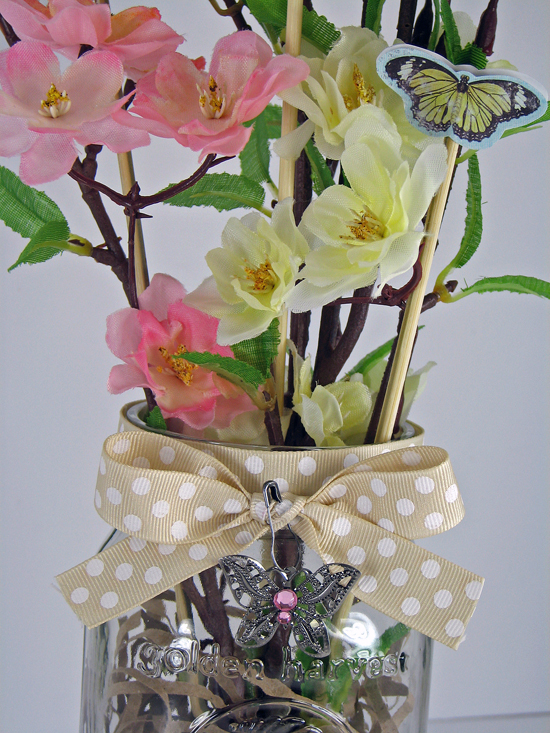 I created this spring flower arrangement with the Coutry Garden collection. I love this collection! It is all about SPRING! 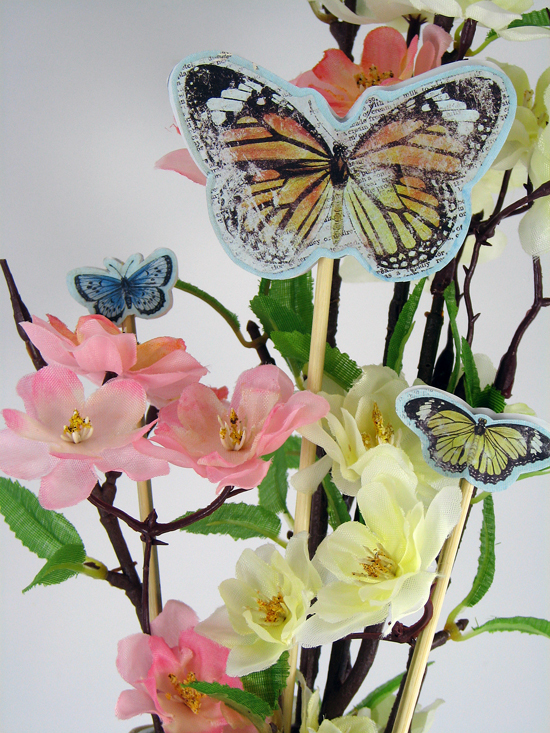 I used the Country Garden rubons for the butterflies. I rubbed them on patterned paper and then cut them out. I then traced the butterfly on another piece of patterned paper and cut that out. I adhered both pieces with foam tape and stuck a bamboo skewer through the foam tape. I trimmed the skewers to create the different heights. Thanks for coming by! You can check out more home decor projects on the Bo Bunny blog! Miss Art's Free Class (and a sketch)! 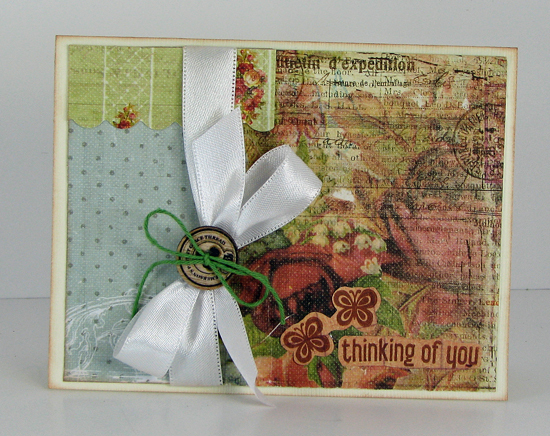 missartspapercrafting.com/classes And here's a little sneak peak! And here's that sketch I mentioned. 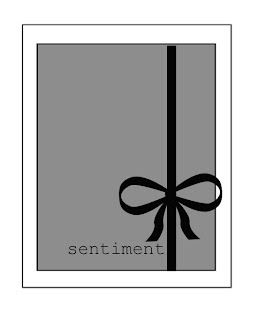 I created this sketch for the Miss Art's blog and created three cards based on the sketch using the "Vinnie's Vignette" kit. 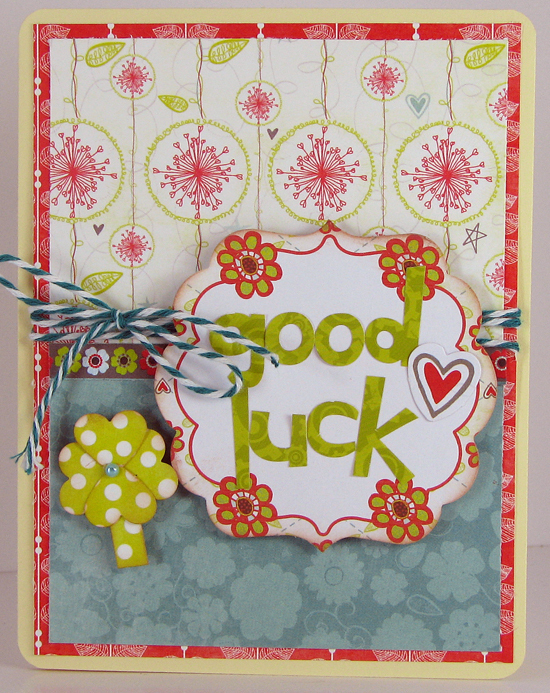 I just have one card for you today made with the Bo Bunny Alora collection. My favorite collection to date! Have a great St. Patrick's Day! Better late than never right! 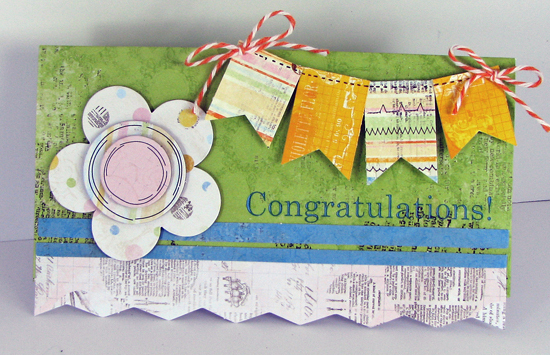 Tuesday's card challenge was to use banners on your cards. The DT created some gorgeous cards. 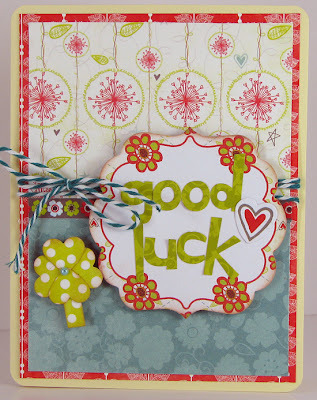 I used the Country Garden card kit to make my card. 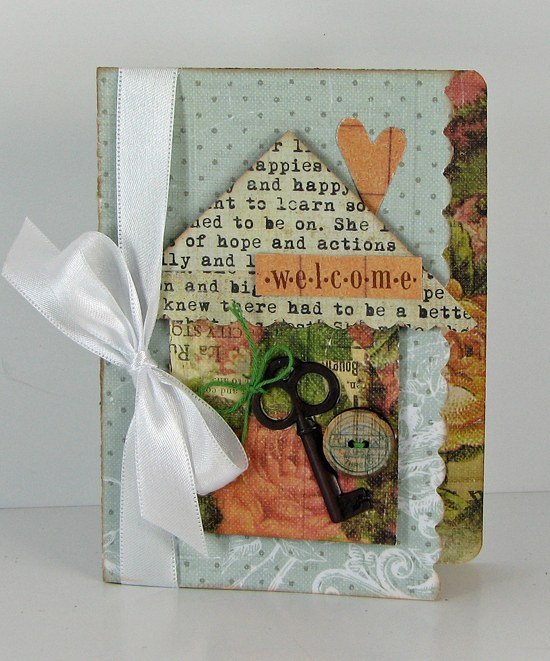 I created the card base following the directions from the kit, but added the banner to give it a little more fun. To make my banner I cut two strips of 1 inch paper from the country garden 6x6 paper pad. Then I trimmed them to random sizes and cut the triangle in the bottom. I adhered everything with pop dots and finished it with some twine. If you haven't used the cards kit before, what are you waiting for? Just kidding ;) but they do make it so easy to create cute fast cards. You can still play along with this week's challenge. 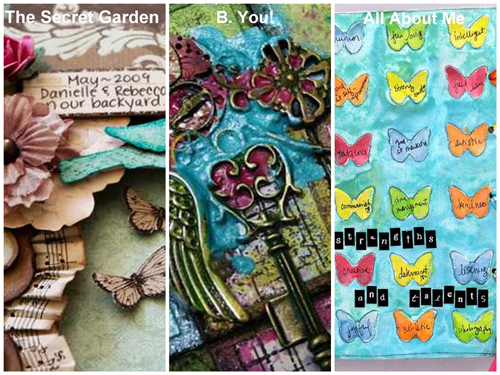 Go to the Bo Bunny blog to enter your card with a banner.